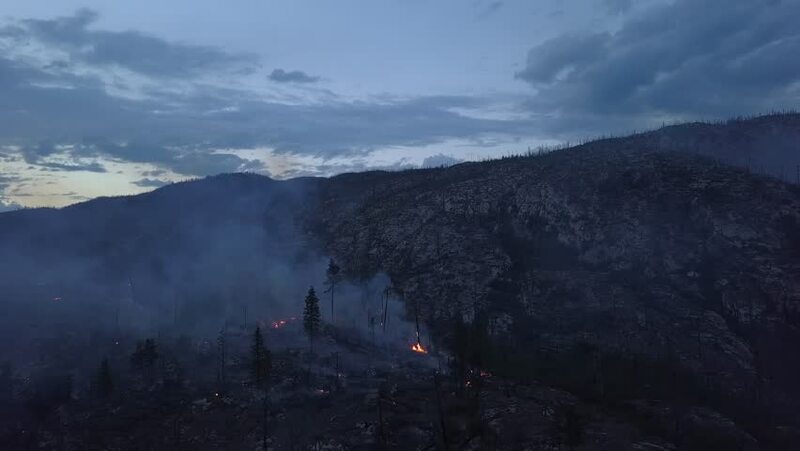 Okanagan valley wild fire flames from above in unique drone perspective. Rare view onto forest fire at twilight or dawn. Flames, glow, blaze and smoke over burned woods and trees. 4k00:29Sunrise over the mountains. Cloudy sky.